The Economic and Financial Crimes Commission (EFCC) has accused Walter Onnoghen, the suspended Chief Justice of Nigeria (CJN), of refusing to declare his assets upon his appointment as a judicial officer in 1989. 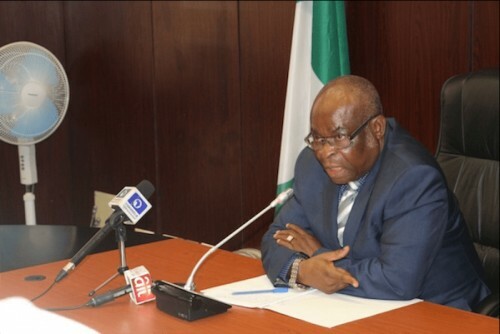 According to the anti-graft commission, there was no evidence that the suspended CJN “ever declared his assets until 2016”. “My lords, the Respondent wanted this Honourable Panel to believe that when he was a foreign student in Ghana he accumulated such amount of money. My lords, how the Respondent accumulated money as foreign student was not stated to this Panel. My lords, the Respondent who purportedly cannot afford to pay N7, 000,000.00 to Joe Agi SAN in 2009 wanted this Honourable Panel to believe that he accumulated dollars to the tune of $1,716,000.00 in his house.